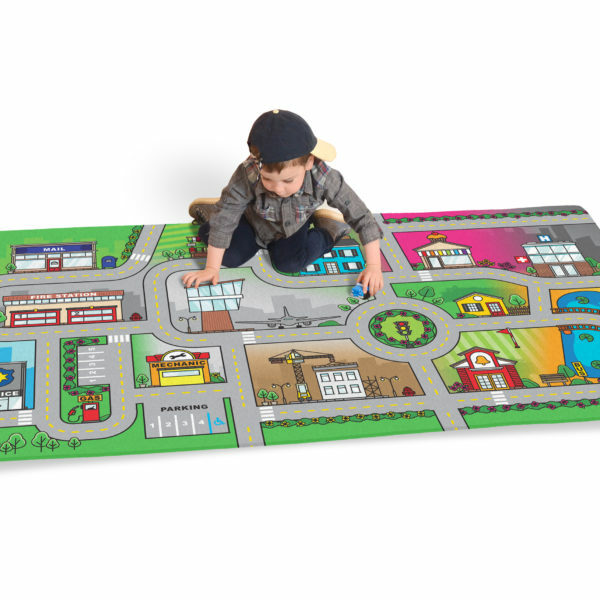 -Unique design with vivid colors for hours of imaginative play. 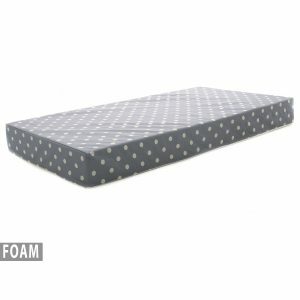 -Super soft memory foam and comfy fuzzy top. This rug is so comfortable your child will use it all the time, not just as a road mat. 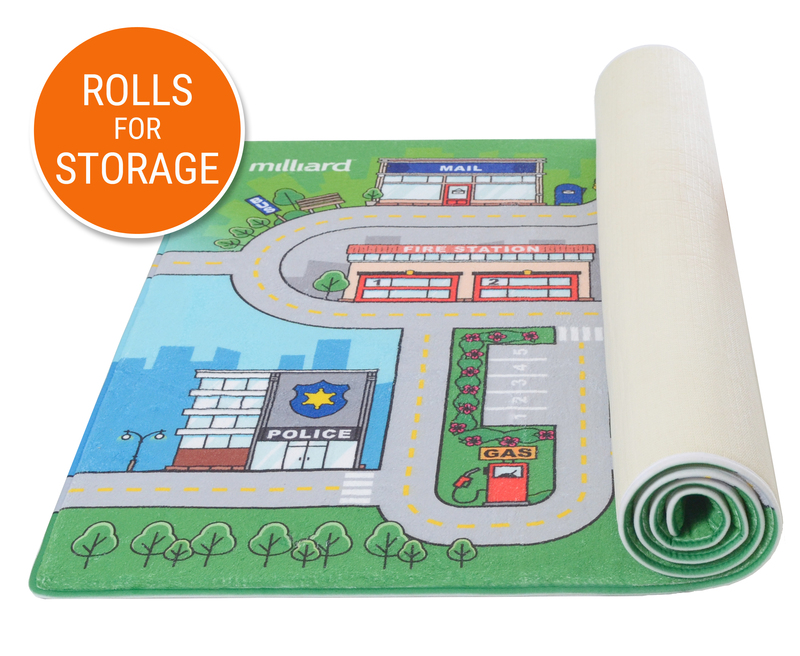 The Milliard Road Map Play mat is the perfect gift or any child. 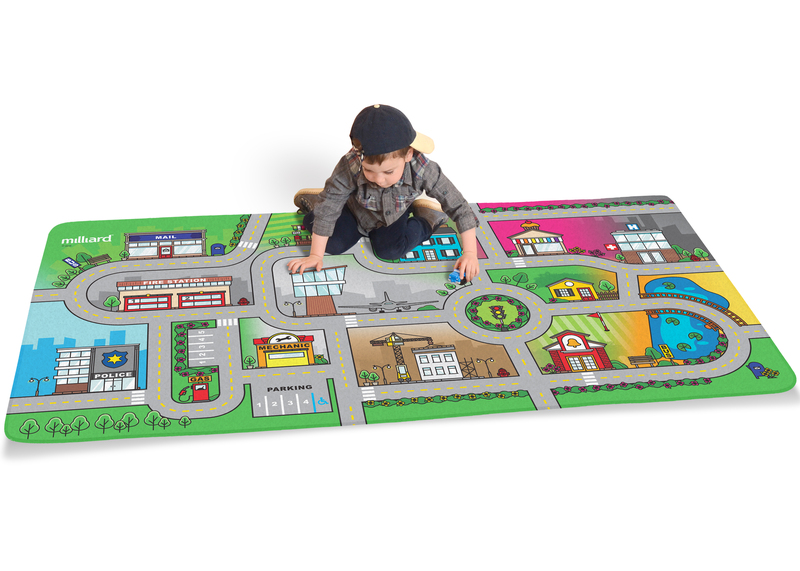 The colorful mat features a busy city with numerous places to go and things to do. 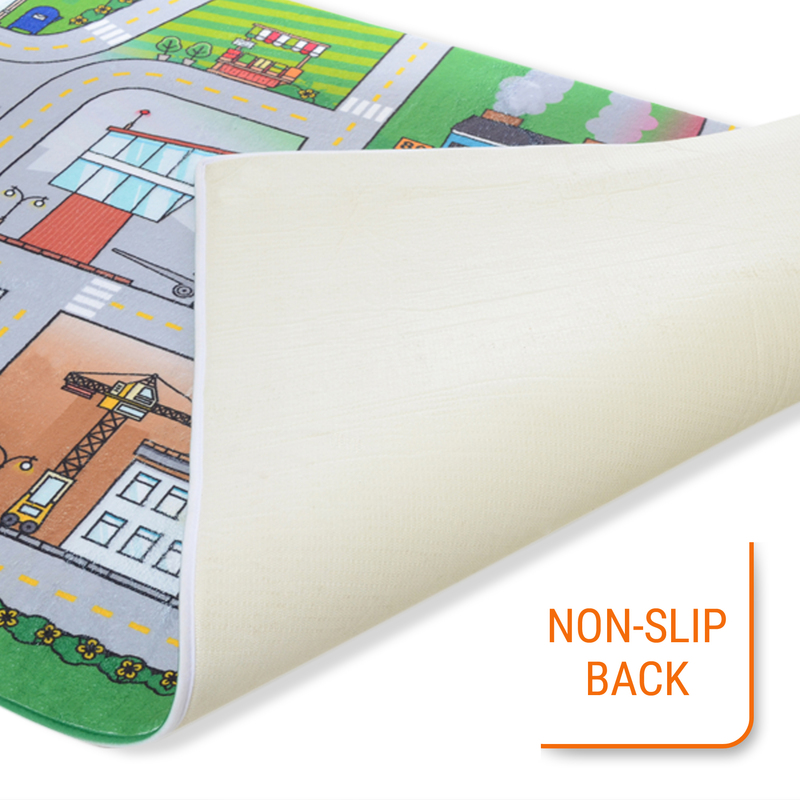 Learn colors, traffic rules, safety and numbers. 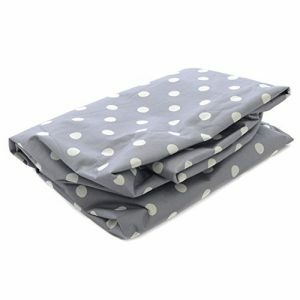 Mail a letter, sit on a bench, cross the road, park your car or drive over a bridge. My boys can play with this for hours. Amazing graphics!